In May the members of Nashua Valley and Mohegan Councils voted to bring our two councils together to better support our Scouting units in central Massachusetts. Since then, volunteers and staff have been working hard, behind the scenes, to build the foundation of our new council. Our Scouting community is now cordially invited to join us for the Grand Opening of Heart of New England Council, BSA! Join with us as we celebrate and recognize individuals who have made outstanding contributions of time, talent, and treasure to better Scouting and our community. Our Scouting family and community supporters will have the opportunity to come together for the first time; to meet the new officers, board members, and our new Scout Executive, as well as the dedicated volunteers from our two legacy councils who make Scouting happen; to catch the vision for our new council and the future of Scouting in central Massachusetts. Dinner cost per person is $40. There is no cost to voting members to attend the Council Business Meeting and registration is not necessary for the Business Meeting. 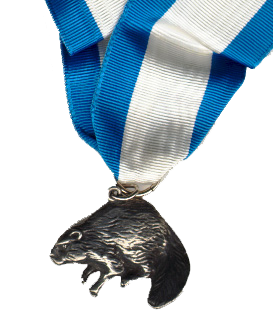 Nominations for the Silver Beaver Award should be submitted no later than October 15, 2018. Please see the attached form and remit to Vice President of Program Mr. Sean Walker at seangwalker@gmail.com.